We Think Not … and here are the Reasons. In today’s age of technology-fuelled remote workforces and virtual teams, the age-old ritual method of a meeting (face to face) may be seen to have gone the way of the dinosaurs. Go To Meetings & conference calling is rife. But often, the problem with virtual conferences is that most people “aren’t there”, that is they are not actually present. By this, I mean they are probably doing something else. Be it planning the weekend, reading the news or putting themselves on mute to carry on another conversation, 60% of conference call attendees admit to “multitasking” during these meetings. Is having over half of your attendees not fully engaged in the meeting really that productive? Traditional face-to-face contact has power; this is where the work gets done. There is something about sitting around a table to thrash things out, it drives accountability, outcomes and in turn productivity. However it actually drives outcomes and after all, that is the purpose of communication. Studies show that 65% of communication is nonverbal. It is not what you say, but how it is said, both in tone and visually. This aspect of communication is completely lost in a phone call. Face-to-face communication allows you to more accurately gauge the impression you are leaving and will result in a more measured and meaningful conversation. Face-to-face meetings are much more conducive to sending a clear message. Some other communication mediums are just not appropriate for clarifying misunderstandings. You generally don’t get much of a response when you raise your hand while on a teleconference. When in a room together, participation is more easily encouraged. People cannot easily turn their back on the meeting like they can during a phone call. If someone has not provided much input to the meeting, the chair can much more easily bring them into the conversation if they are actually sitting there. Face-to-face meetings often demand and encourage outcomes. As time is a premium for people these days, there is pressure to get to the point. A sense of achievement needs to be fulfilled for attendees to walk away from a meeting feeling that it was a productive use of their time. Face-to-face meetings are ideal moments to encourage creativity and “on the fly” thought processes. Using visual aids like a whiteboard allow you to quickly change your tact and begin exploring new ideas with a “sketch pad” mentality. As they say, some of the best ideas and business deals were first scrawled on the back of a cocktail napkin! 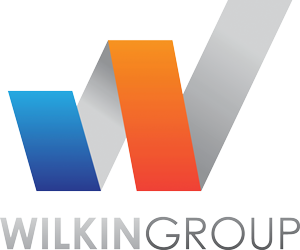 Wilkin Group in the Adelaide CBD have numerous meeting spaces for rental. By the hour, By the half or full day, Our role is to help you organise productive meetings as painless as possible. We can be contacted at info@wilkingroup.com.au or (08) 7071 7071.